A vegetarian Thanksgiving? Is that even possible? Yep, and it will be delicious! 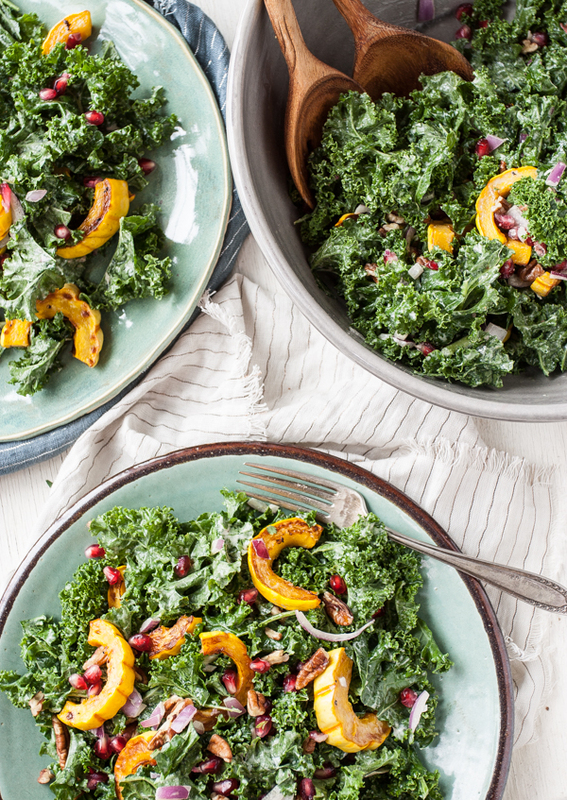 If this is your first year cooking for vegetarian guests, be sure to add at least a few of these dishes to your menu so they are able to get a well-rounded meal. Not your first vegetarian rodeo? You'll love these creative recipes! 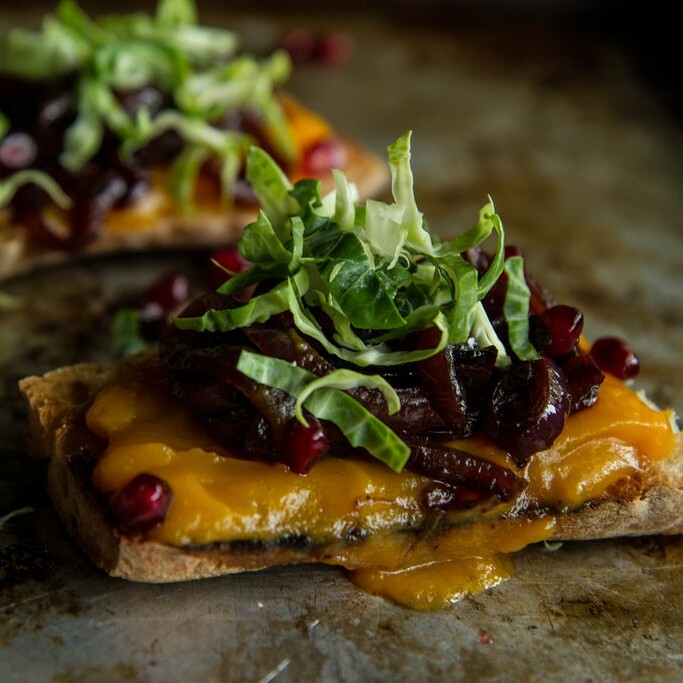 A stunning appetizer made with only a few ingredients. 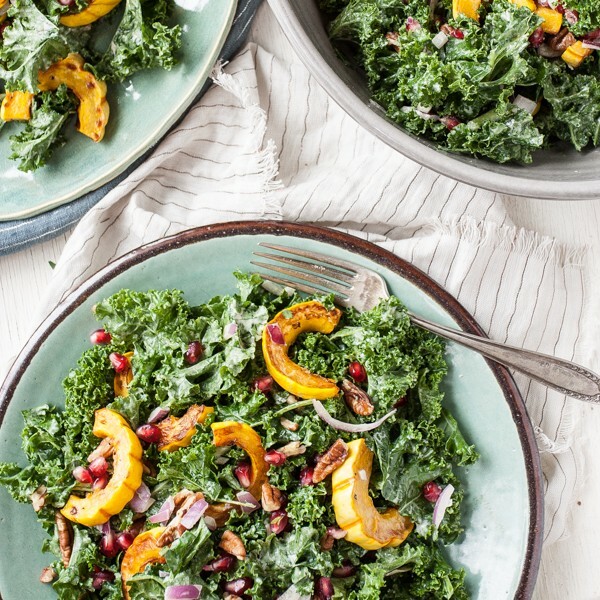 The base is a creamy butternut squash puree, which is topped with red wine caramelized onions. The shredded Brussels sprouts and pomegranate seeds add beautiful color and texture. 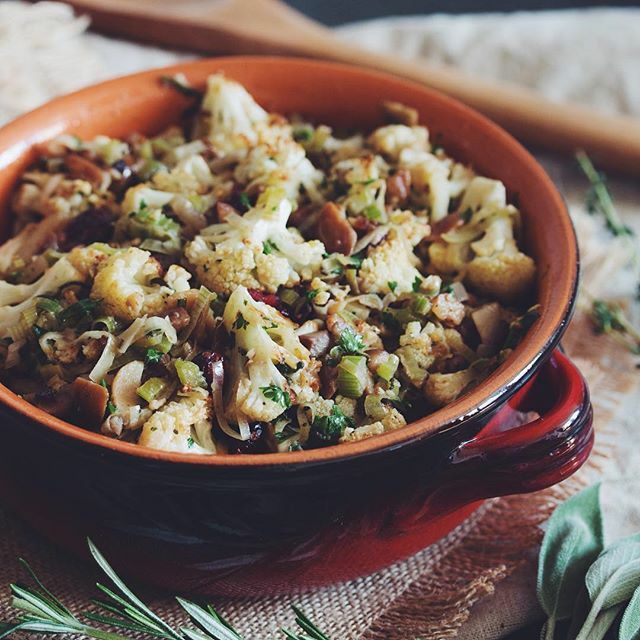 Chestnuts add a pleasant textural element and earthy flavor to this hearty vegetarian take on stuffing. 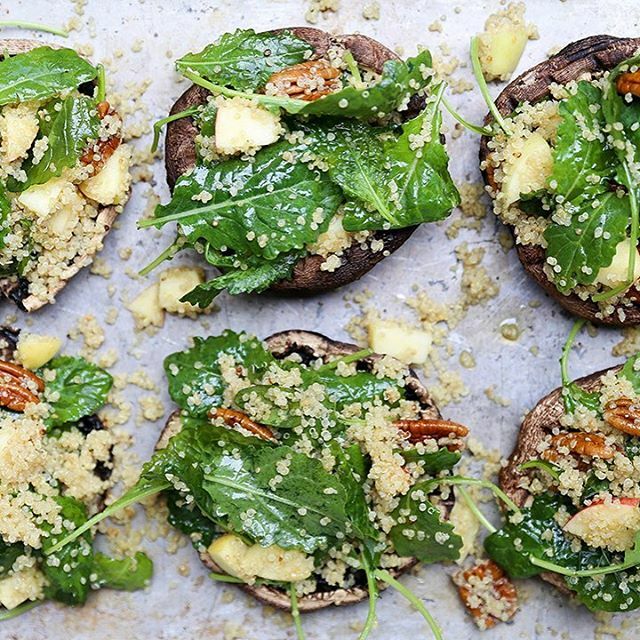 Feedfeed Tip: You can toast your bread a couple days in advance. You can't go wrong with this Hasselback Potato and Parmesan Gratin; thinly sliced potato rounds are cooked to perfection (crisp on the outside, tender on the inside), and coated in a creamy parmesan sauce. 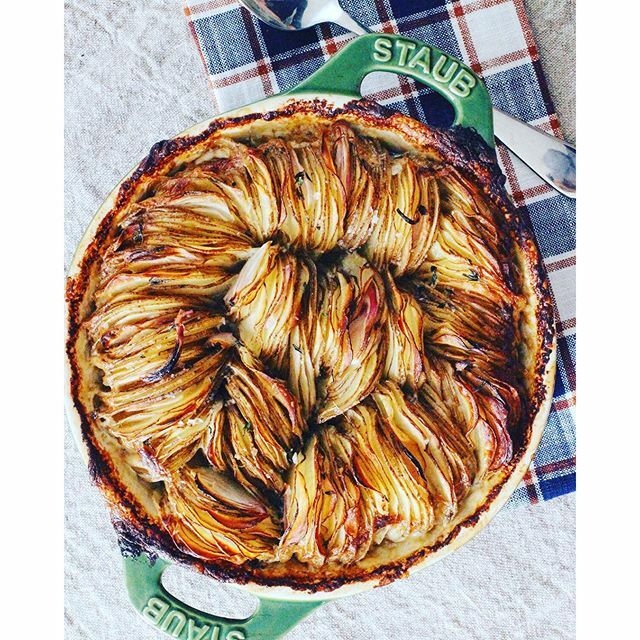 Feedfeed Tip: Use a mandolin to slice the potatoes in order to save time. 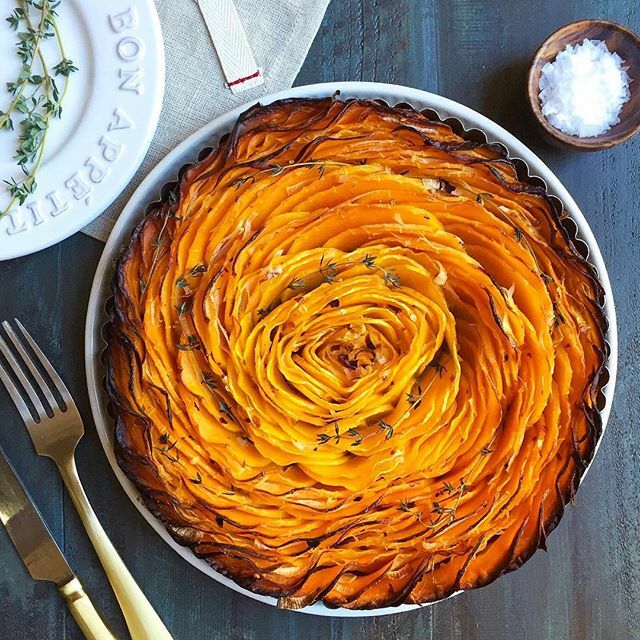 This gorgeous spiraled tart will add some flair to your Thanksgiving table, and thankfully, it's much easier than it looks (tip: make sure to use a mandolin for even slices!). 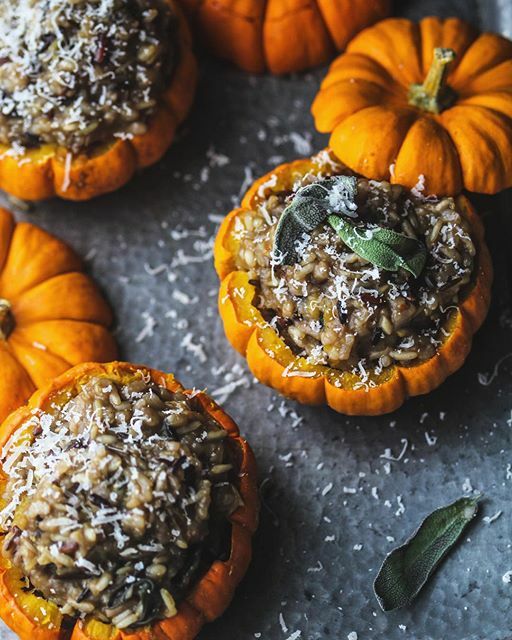 We love this risotto served in an adorable mini pumpkin, but it can also be served in a regular dish for ease of serving. This savory recipe is a delicious and filling main course in place of turkey. Quinoa adds some extra protein, while apples, pecans, and kale add perfect fall flavor and texture. 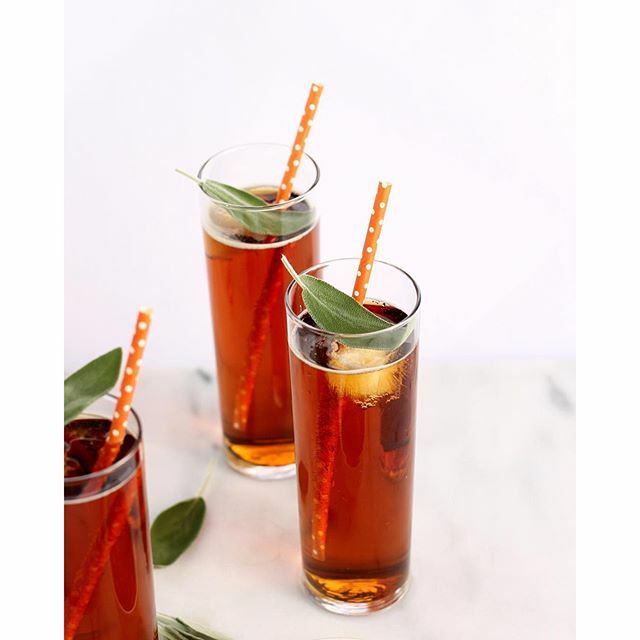 This Pumpkin Sage Pimm's Cup is the fall-spiced drink you've been looking for. This recipe calls for a pitcher, meaning it's that much easier for you to mix up and serve to a large group of guests. Sick of making the same pie recipe? 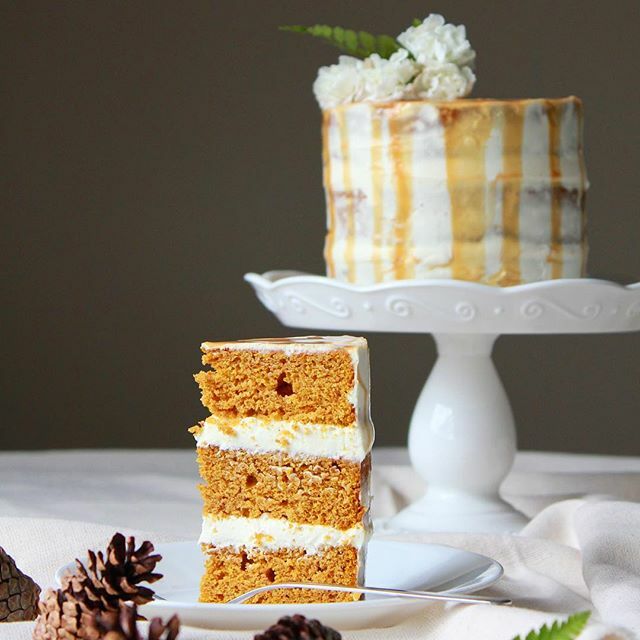 Substitute it this year with this dreamy Pumpkin Cake. Three layers of pillowy Pumpkin Cake, layered with creamy Dulce De Leche Cream Cheese Frosting, and drizzled with extra Dulce De Leche. This chocolate bark is especially perfect for a last-minute dessert that you can pull together with just a few ingredients. 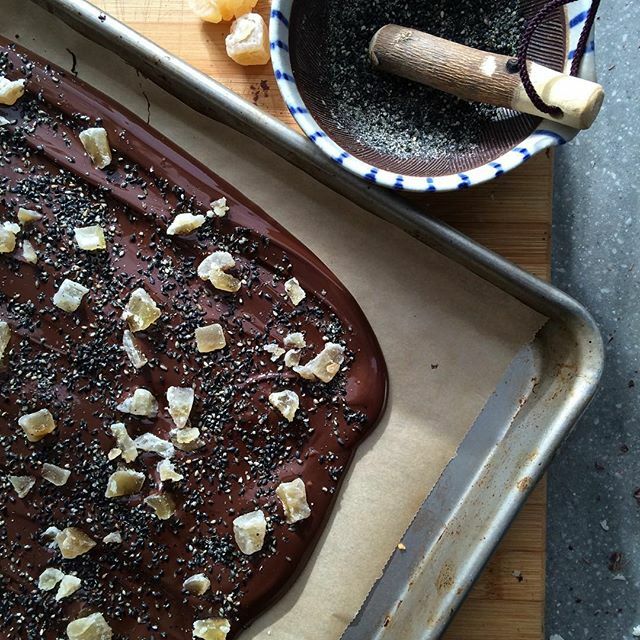 Simply melt high-quality chocolate in a double boiler, sprinkle with black sesame seeds and crystallized ginger, and place in the freezer until solid.